Li’l Chuck the One Man Skiffle Machine – Utility Blues album release show. 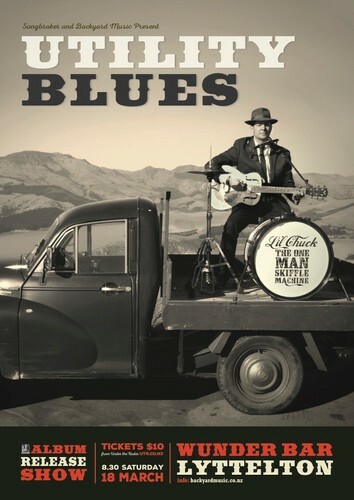 Utility Blues is Li'l Chuck's follow-up to the highly acclaimed 2013 release Blues In Full Swing. Captivating storytelling intertwines effortlessly with heart-stopping harmonica and multiple guitar styles - all underpinned by his left and right feet frantically pounding the kick and hi-hat. The listener is left simply wondering, How the hell does he do that'.